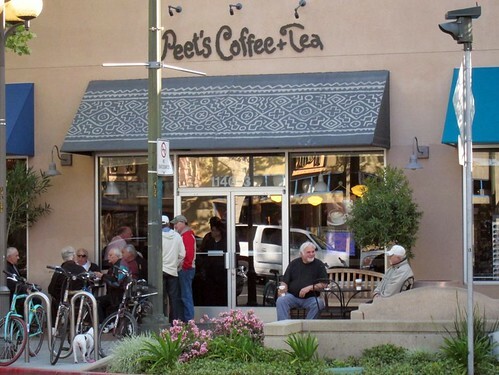 The food is good and the coffee is Peet’s! Moo-Chu’s started out for Nvidia staff but has doubled their business since opening to the public. 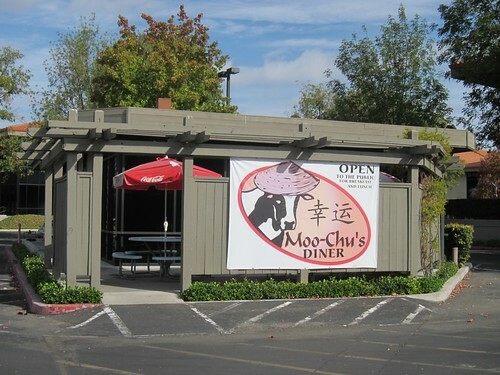 At lunchtime, you can see employees from a variety of nearby high-tech companies cutting through the parking lots near San Tomas Expressway (Between Central and Walsh), headed for Moo-Chu’s. Look for the big sign of the cow wearing an Asian hat. 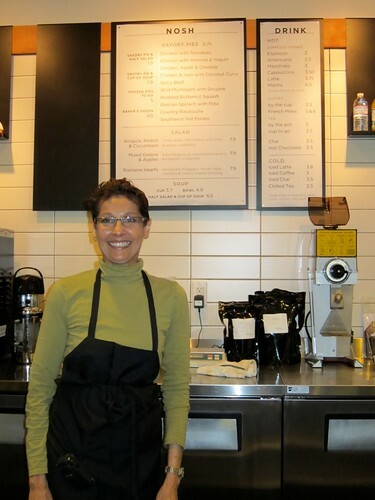 Barefoot Coffee’s 7th anniversary in business is this Saturday. They will be offering free coffee at all of their locations (about which, more below). Possibly there will be even more bonus offerings if you bicycle to all three locations. 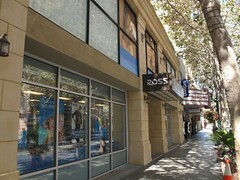 Also, they will be opening a new location tomorrow, October 21. 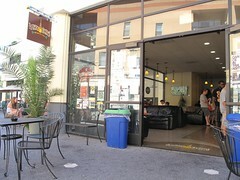 The “roll-up bar” will let you get a cup of fresh-poured or espresso coffee right at their roasting facility at 76 Sunol Street near downtown San Jose. Parking is limitted and they recommend visiting on your bike. Finally, on Friday they will be opening a third location inside Good Karma Vegan Cafe at 37 South First Street in downtown San Jose. One more reason I need to visit Good Karma again soon (the other being the rumors I hear about their beer selection — I might need to make two trips). Correction (10/21/10): I stopped in at the roll-up bar this morning, and they told me they’d actually had it open for a few weeks already. It’s worth a stop — get your coffee fix while steeping in the scent of the roasters — but they really mean it about the parking. About a year after we wrote that Backdoor Broken Door Espresso had closed up, San Jose city workers can once again get some high-octane fuel withing walking distance. Red Berry Coffee Bar has taken over the location where eMocha Cafe and Backdoor Broken Door Espresso once stood. They’ve been open since about 8 weeks ago. Red Berry is brewing coffee from local favorite Barefoot Coffee Roasters. The coffee has some serious kick, and some complex flavors that aren’t revealed in the coffee at a Starbucks or even at Peet’s. Even the decaff has real flavor (and a very small amount of caffeine, so be warned if you’re extremely sensitive). I had a decaff americano and it was served with plenty of crema to give it the real espresso flavor. I had read that Barefoot attributed their flavor to a less aggressive roast, but Chris, who was working at Red Berry Thursday morning, and previously worked at Barefoot’s cafe on Stevens Creek Blvd., told me it’s really more about the source of the beans. Red Berry Coffee Bar is at 231 East Santa Clara Street. Mondays from July 13 through August 3 2009, participating McDonald’s restaurants will hand out a free sample size of Iced Mocha (7 oz.) or Hot Mocha (8 oz.) between 7:00 am and 7:00 pm. Limit one free sample per person, per visit, while supplies last. Each drink is made with freshly ground espresso beans, real milk, rich chocolate syrup, and fresh whipped cream. The beverages are fully customizable, available with whole or non-fat milk, with or without whipped cream, and with fewer or additional shots of espresso or pumps of chocolate syrup. 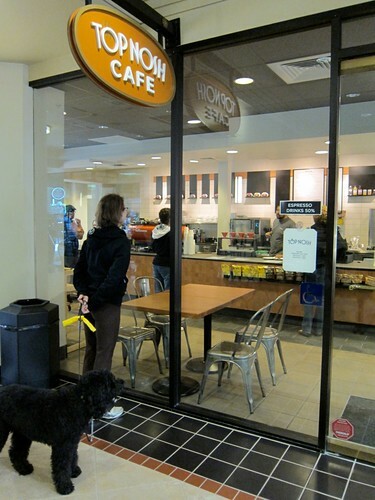 Roy’s Station, the much-awaited new coffee shop in Japantown, has been open since Monday. The new shop is located in a former filling station that has been in the owners’ family for three generations. They’ve restored the building meticulously, and documented their progress on Flickr over the past year. I’ve stopped in twice now, and they still have a couple of things to work out, like how much water goes into an Americano (if they ask me, it’s about equal to the amount of espresso), but they seem to have things well under control for a place in their first week of business. Their coffee comes from Barefoot Coffee Roasters, and their tea from Teance, both local suppliers. 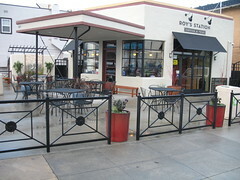 Roy’s Station is located at the corner of 5th and Jackson Streets, and is open 7 days a week, until 9 pm most of the week and until 10 pm Friday and Saturday.